« What do West Ham’s manager and East Ham’s MP have in common? Project Paddington shows that we care. And that matters. As a child, I loved Paddington Bear. With his floppy hat, his duffle coat and his liking for marmalade, he was a very appealing character, and the stories about his life with an everyday London family were great fun. Of course, East London has a long tradition of welcoming strangers. As I keep reminding myself, my ancestors include one who came here as a 15-year-old refugee, having escaped religious persecution in France in the 18th century. He found a welcome in Spitalfields, got a job, and raised a family here. They continued speaking their native language, so it took them a while to integrate. But Londoners they became, like countless other refugees and migrants over the centuries. Today, we face a new refugee crisis in Europe, largely caused by war in the Middle East. When we see pictures of the children involved, our hearts go out to them, and yet most of us feel powerless to do anything. That’s why I was really pleased to read about Project Paddington. Project Paddington was started only a couple of weeks ago by kind people in Sheffield. Now, children across the country are being invited to send a teddy bear, with a message and a few pounds, to a refugee child somewhere in the world. 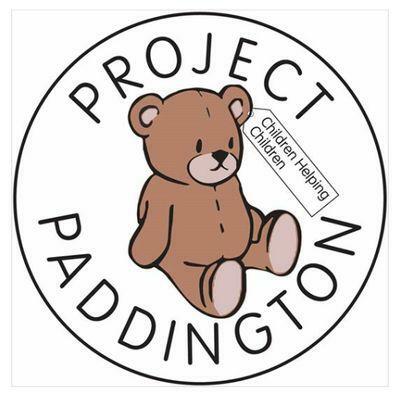 (If you want to know more, do a search on Facebook for ‘Project Paddington’.) It’s not much, and it’s going to solve the refugee problem, but it will show a lot of children who need a bit of love that we still care. And that matters. This article was first published in this week’s Newham Recorder and appears with their kind permission. This entry was posted on September 18, 2015 at 10:44 pm and is filed under Uncategorized. You can subscribe via RSS 2.0 feed to this post's comments. You can comment below, or link to this permanent URL from your own site.